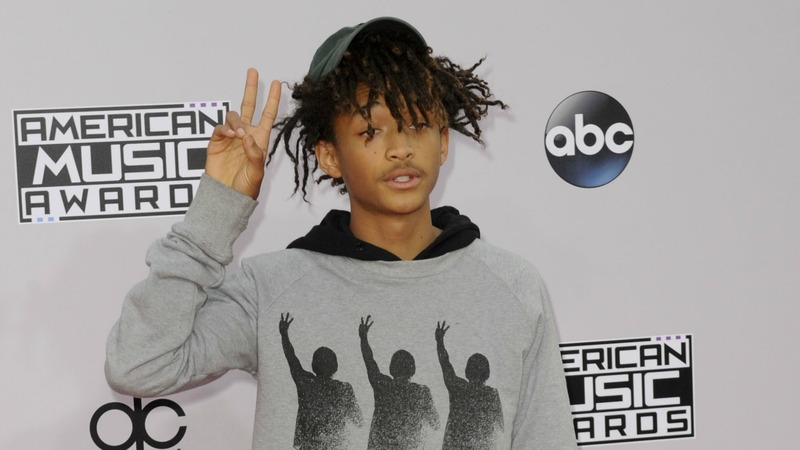 Here’s the thing: When I first heard that Jaden Smith had been spotted around Calabasas, California, wearing a dress, the image that came into my mind was pink lacy frills. Turns out, the ensemble almost looks like it could be shorts and a T-shirt. It really isn’t that bad. In fact, I don’t mind it at all if Smith feels the need to keep things cool as the weather in California warms up for spring. Of course, the Internet freaked out because we seem to like to blow everything out of proportion, but Twitter, shockingly, was more concerned with correcting Smith’s grammar in his tweet confirming his outfit choice than with criticizing him for his wardrobe decision. @officialjaden I think you mean "you're"
Smith said “your” instead of “you’re” and used “to hard” instead of “too hard.” He also seems to have a thing for capitalizing every word in a sentence. But, hey, Twitter is all about shorthand and weird flair, right? Honestly, though, the social media world’s reaction should have been the same even if Smith had been wearing a pink princess dress complete with sequins and butterflies. It’s his body and his life, and he can wear whatever he wants. As long as it doesn’t hurt another person, individual styles should be celebrated, no matter what they are. Personally, I love dresses. They’re comfy, easy and breezy. I feel bad that guys don’t get to indulge in this summer comfort too. But Smith might be starting a new trend for Summer 2015. If you can pull off a dress as seamlessly as Smith, guys, have at it. Do you think Smith’s manly dress trend could catch on this summer?